Everyone wants to look and feel their best. From makeup to makeovers, for many it begins with beautiful eyes. Now, you have an easy new way to add that little bit of extra colour to your look. 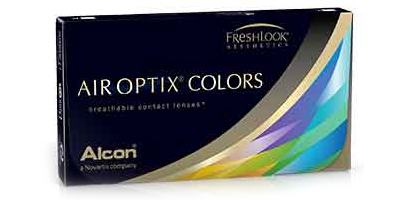 New Air Optix Colors monthly contact lenses combine the fantastic 3 in 1 colour technology of Freshlook Color lenses with the consistent comfort and breathability of Air Optix brand contact lenses. Air Optix Colors are designed with unique permanent surface technology that allows tears to spread, smooth and protect the lens which leads to retention of more moisture and resistance of deposits for consistent comfort from day 1. These lenses allow up to 6 times more oxygen to flow through to your eye for a healthy natural feeling. Unique 3 in 1 colour technology blends with your own eye colour for a completely natural look. 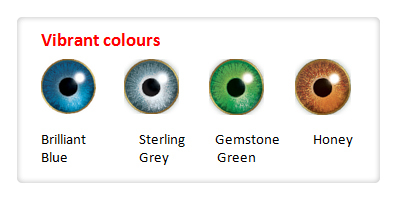 The outer ring of these lenses defines and intensifies your eyes, primary colour enhances your own eye colour and the inner ring adds depth and natural richness. Air Optix Color contact lenses offer a wide range of colours from subtle to vibrant turning colour into an everyday part of your daily beauty routine. 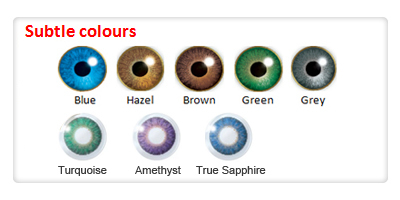 Buy your Air Optix Colors lenses from Contactlensesexpress.co.uk and create your own fresh new look. Usage instructions: Daily wear, not suitable for overnight wear. 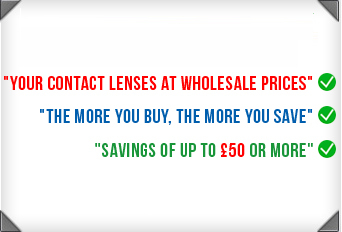 Replace with a new pair every month or as instructed by your eye care professional.